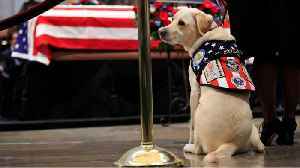 Bush', the service dog assigned to former U.S. President George H.W. 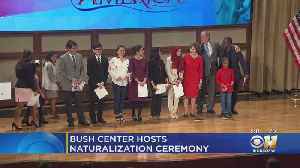 Bush, took up his new assignment serving veterans and staff at the Walter Reed National Military Medical Center on Wednesday. Sully, former President George H.W. 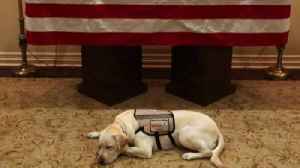 Bush's faithful companion in his final months, took an oath to serve at the Walter Reed National Military Medical Center just outside Washington on Wednesday..
Sully gained national attention after paying his last respects to George Bush Sr. in the U.S. Capitol on December 4th, 2018. Affectionately known as 'Sully H.W. 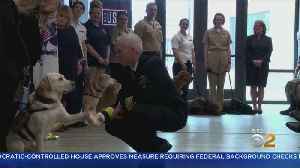 Bush', he was named after Captain Chesley "Sully" Sullenberger, the pilot hailed a hero for landing a jetliner on the Hudson River in New York City 10 years ago. 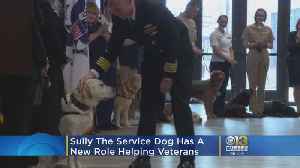 Officials from the Guide Dog Foundation said Sully was selected for Bush because of his adaptability and ability to travel extensively. He was assigned to H.W. 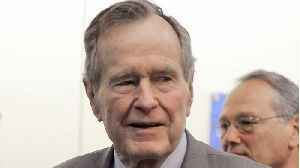 Bush at a request reportedly made on his behalf, after the passing of his wife, former first lady Barbara Bush. 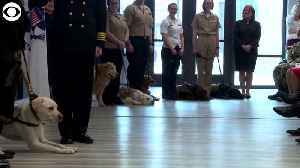 The facility's dog program says he's tasked with reducing stress and looking out for the well-being of wounded veterans, their families and staff... And like his colleagues, he was presented with a symbolic "military uniform." 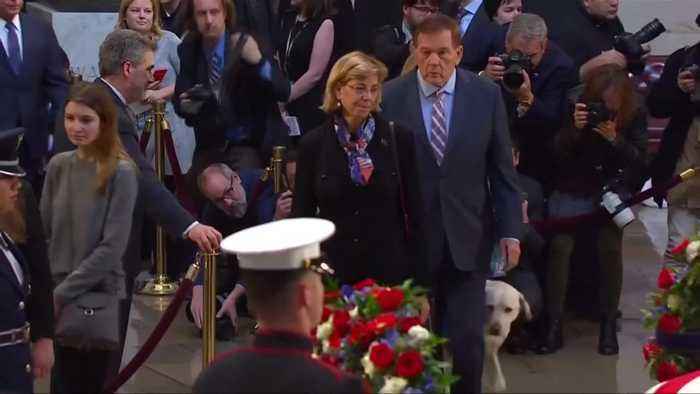 His new mission fullfills Bush's wish that he serve other veterans after his passing.